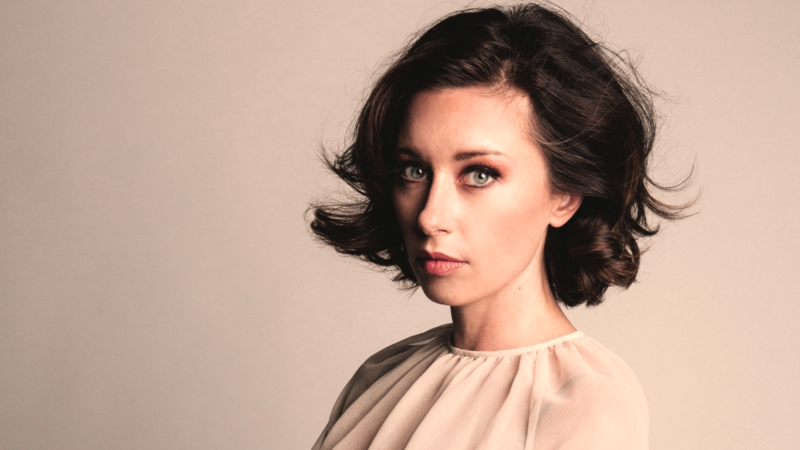 Lera Lynn's Plays Well With Others comes out June 22. Over the course of Lera Lynn's career, the Nashville-based songwriter has explored the darker corners of American roots music. With her brooding, sinewy vocals and penchant for chronicling the underbelly of interpersonal connection, Lynn's star has continually risen since her 2011 debut, Have You Met Lera Lynn, particularly finding new heights following the release of 2016's daring Resistor and her breakthrough gig with HBO's True Detective. On a new album, Plays Well With Others, Lynn is shifting her focus to another musical form with deep roots in the American songbook: the duet. Out June 22, the nine-song collection finds Lynn collaborating with some of roots and Americana music's best and brightest, from newcomers like Dylan LeBlanc to veteran Rodney Crowell, broadening both her sonic and storytelling capabilities in the process. The duet is a form well suited for Lynn, who possesses an uncanny knack for meeting her partners where they are. In "Crimson Underground," a standout cut with Crowell, she explores the higher reaches of her vocal range, adding an ethereal quality to an otherwise dark, minor-chord shuffle about lust and temptation. On "Breakdown," Lynn becomes nearly indistinguishable from collaborator Andrew Combs, the two seamlessly weaving their voices together into a merciless yarn of romantic revenge. In plotting out the album, Lynn got an assist from John Paul White, the songwriter and former half of the now-defunct duo The Civil Wars, who, as such, is no stranger to the duet form himself. Lynn, White and Alabama Shakes' Ben Tanner recorded and co-produced the album at White's Sun Drop Sound studio in Florence, Ala.
White himself appears on two tracks, "Lose Myself" and "Almost Persuaded." The first is an aching, seductive look at both sides of a toxic relationship that, thanks both to White's vocals and to the pair's delicate harmonic exchange, recalls White's work with Civil Wars partner Joy Williams. The latter is a cover of David Houston's 1966 Grammy winner (written by Music Row powerhouse Glenn Sutton and Muscle Shoals songwriter Billy Sherrill); as a story about resisting the allure of an extramarital affair, it serves as one of Plays Well With Others' few optimistic takes on the romantic human condition. Elsewhere, beloved roots duo Shovels & Rope join Lynn for a cover of TV on the Radio's 2006 Return to Cookie Mountain track "Wolf Like Me," re-imagining the original's frantic distortion with pump organ, banjo and thumping double bass. On "What Is Love," LeBlanc's elastic tenor proves a nice counterpoint to Lynn's sensuous alto. That interplay makes for one of the album's airier moments, as though Lynn finally stepped outside a smoky roadside bar to take in a scenic vista. Lynn has long been a singular voice in roots music. Now, with a few new voices in the mix, hers somehow stands out more than ever.